In 1998, I was living in a small, unclean apartment in the heart of Brooklyn. It was summer, and I was confused, and I decided that the only thing that would help me overcome my confusion was a very long cross country drive, and the only thing keeping me from that drive was the apartment itself, and so I needed, desperately, a subletter. I put out all my feelers, describing the place as “well-lit.” A few days later, a friend from Teachers & Writers Collaborative called to tell me she had just the right tenant; a poet and his (at the time) wife were moving to the city from New Orleans; they could come look at the place immediately, that afternoon, even; they were on their way. I swept what I could and tried to get crumbs off the counter, but still the bell rang, and I listened to the voice on the scratchy intercom—It’s Jim. About the apartment.—and buzzed them in. Anyone who has ever met Jim can tell you what a commanding physical appearance he had. He was a tall glass of water and a wild mane of hair and a huge, friendly smile, and walking in and looking around, he was clearly and absolutely baffled as to why I would think that my tiny apartment, covered in a down of cat hair and hardly “well-lit,” even in the late afternoon sun, was worth $1160 a month. So, he didn’t take the apartment. But we met. He was a poet, and I was a poet. Poems! We said. Can’t throw a bagel without hitting a poet in this town. And we wished each other well. We’d see each other at readings, we were sure, at book parties. Really great to meet you. Really. We’d be in the glitterati of the poetry world at any moment, and how nice it would be to wave at each other in recognition. But it didn’t turn out that way. A few apartments later (slightly larger, slightly cleaner), Jim and I ended up living a few blocks from each other. His marriage had ended, but he had a son, and a wonderful new partner; I had gotten married to a very good man (the chances of which seemed slim in 1998) and was usually pregnant or walking around with a baby strapped to my chest. We often ran into each other on the street and asked about poetry and books, but I had stopped writing poems entirely, and Jim had found, after moving to New York and just dealing with the stuff of life, that the poems were slow to come. Then in 2013, fifteen years after I had first met Jim, I found out that my book SuperLoop, all poems I had written in my early 20’s, would be published. The year before, after a decade away from poetry, I had given birth to my second daughter, and somehow, miraculously, started writing poems again, and then somehow, miraculously, ended up in the company of Terence Degnan, who said he wanted to publish those forever-ago poems. 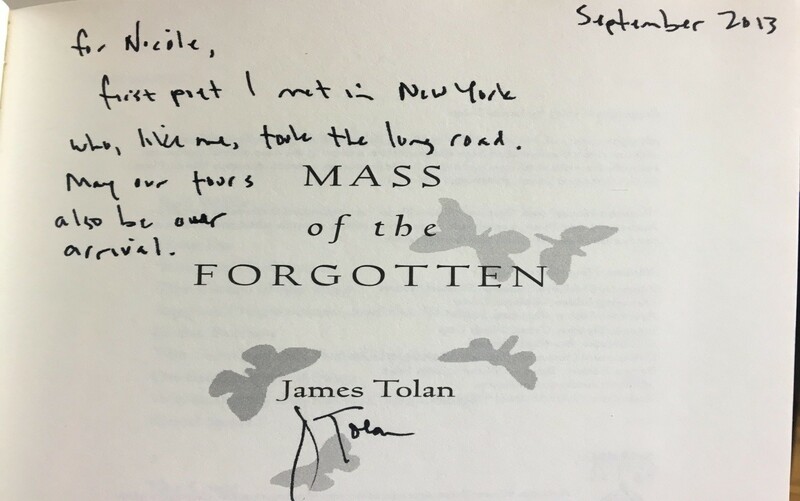 I was probably floating down the street when I ran into Jim, and he was probably floating too, because he, too, had just found out his first full-length collection, Mass of the Forgotten, would be published by Autumn House Press. After all that time, we finally had BOOKS! Jim called it “taking the long road,” and we decided, there on the Brooklyn street that we would celebrate the hell out of our first books. We decided, in fact, that we’d take those books on the road. In February of 2014, Jim and I and my dear friend (who quickly became Jim’s dear friend), Lorraine Doran whose gorgeous first book Phrasebook for the Pleiades had also just come out, launched a 14-city book tour. We drove and drove, and ate French fries and chocolate, and carried on impossibly beautiful and heartfelt and cerebral conversations that made us think that all road trips should take place in middle life. Night after night, we read poems, and night after night, our deep and abiding friendships grew deeper and more abiding. It was on that trip that Jim really started to feel like an older brother to me—the first to tell me if my hair looked funny or my blazer was stained, but also the first to tell me if a poem was really, truly working. I can only hope I offered the same kinship to him. Shortly after we returned from our tour, Jim became sick. Jim and Lorraine and I met at the Brooklyn Inn and drank good beer, and he told us it was cancer. The months since then are punctuated only with flashes: a visit to the hospital when I took Celan, and Lorraine brought her famous chocolate cardamom cookies, and crying with her when we left; sitting at a little sunny café, Jim in a wheelchair, early last summer and working through our manuscripts, his which he found out just weeks before his death would be published by Dos Madres Press; and also, there is the last time I saw him, not so very long ago, by the window, as eloquent and regal as ever. The weekend before his death, Jim had planned a Saturday poker party. His childhood buddy was going to be in from out of town, and Jim wanted to get us all together to play cards and lie to each other. On Friday, he canceled. By Tuesday, he was gone. I’ve spent the last several days reading his poems, tracing, over and over, the inscription he wrote for me. Yesterday, knowing of my grief, a friend sent me a quote from Mary Ruefle’s “Short Lecture on the Dead” which says that poets can’t do much for us while they’re alive, save play a good hand and try not to bluff. 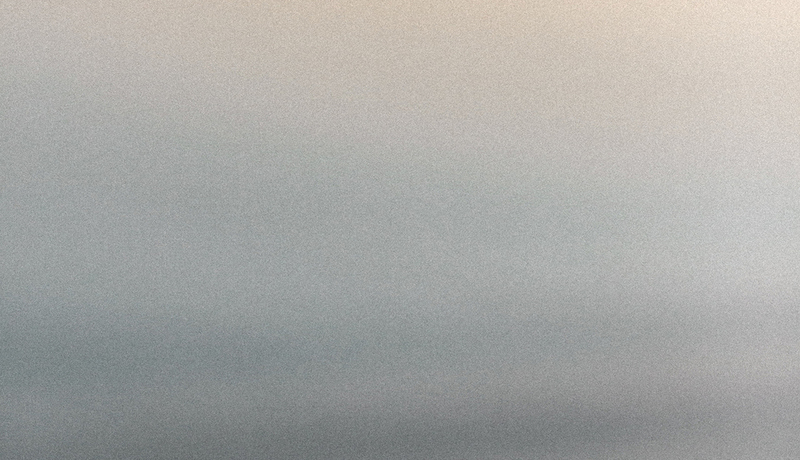 And yet—here's the weird thing—, Ruefle says, THE MINUTE THEY BECOME DEAD THEY CAN TEACH US EVERYTHING. I have to say that Jim taught me plenty when he was alive—that you should keep your blazer clean; that it’s a bad idea to order Pinot Grigio at a Nashville dive; that the road can be long but that the long road can be just as good as any other road—but he is teaching me everything now. Everything and everything. The dead miss life, Jim writes in “Cemetery Plums,” more than we miss them, their loss/ more than equal to our forgetting and our grief. And I am certain Jim is right, that he misses this life—he was so very good at living—and I am also certain, too, so certain, of how much this life misses him. Nicole Callihan's books include SuperLoop and the chapbooks: The Deeply Flawed Human, A Study in Spring, and Downtown. Find her on the web at www.nicolecallihan.com.